Hold down the low end with the CBXNT IV, a highly versatile bass designed for one express purpose; bringing the thunder to your music. Upgraded electronics, classically brutal style and fast, efficient playability make this entry into the lineup a fundamental force to be reckoned with. Perfect for metalor other styles that demand low, punchy bass, this instrument is an unbelievable value. The heart of this beast is a pair of Jackson High Output Humbucking Bass pickups mated to an active 3-band EQ circuit, adding punch, cut, rumble or grunt to your soundshaping it with razor-sharp precision before it ever hits an amplifier. 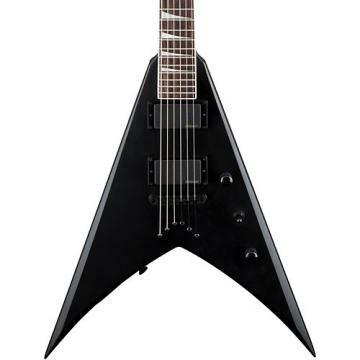 A Jackson HiMass bridge enhances note attack and sustain without altering your carefully crafted tone while the sealed die-cast tuning machines keep the strings in tune, no matter how hard you dig into them. The one-piece neck-through-body design generates formidable sustain while the Speed Neck contour and 12-16 compound radius rosewood fingerboard make for lightning-fast playability. Jacksons darkly elegant aesthetics cap off this bassblack hardware, pearloid sharkfin inlays and the famous pointed 5-In-Line headstock create a look thats simultaneously classic and current. The latest in technical bass innovations, the CBXNT IV is the perfect weapon for the musician who requires nothing less than the latest in high-performance bass technology.